As I pulled into my driveway this evening, I groaned at the thought of all of the leaves that clutter my yard. 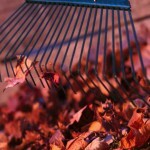 When will I have time to rake? I love to look at the beautiful changing colors of fall, but I really don’t like the work that comes with them once the leaves let go and fall to the ground. Continuing to think about the leaves, my mind traveled back to the playground at school, just a couple of hours earlier. The children LOVE the leaves! They can’t help but to throw them up in the air and watch them fall like rain. They enjoy catching them, looking at them, talking about them, and using them in their play. Today alone, I saw leaves become pillows, fire-starters, soup, ice cream, spoons, hats, and horns. Children can find joy in the ordinary by using their imaginations to create exciting play scenarios. I love to watch them plan their play by assigning roles, setting up the play environment, and creating props from natural items. Aside from playing with leaves, the children in my kindergarten program are also genuinely interested in the world around them. They want to examine leaves and learn about them. They identify types of leaves and comment on the veins and the symmetry of certain leaves. Last week, we put leaves on our light table and looked at them up close with magnifying glasses. We did leaf rubbings recently as well. 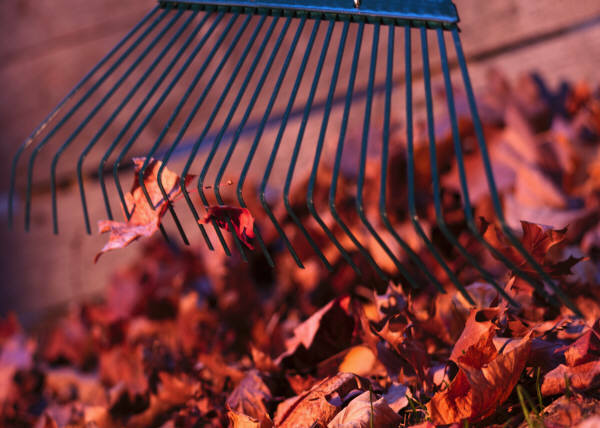 Now, feeling guilty about my groaning and humbled by five year olds, I will try to enjoy raking my yard and take joy in the simple pleasures of my days, fallen leaves and all. Our neighbors rake their leaves into a gi-a-munga pile, let the kids jump in it, work together to pile the leaves into the wheelbarrow with the kids in it, and then take fabulous photos. Might work for y’all!